Seemingly overnight, the German blitzkrieg of Warsaw in 1939 turns its streets to a war zone and shatters the life of each citizen―Polish, Jewish, or otherwise. Sophie Kumiega, a British bride working in the city’s library, awaits news of her husband, Janek, recently deployed with the Polish Air Force. Though Sophie is determined that she and the baby in her womb will stay safe, the days ahead will draw her into the plight of those around her, compelling her to help, whatever the danger. Rosa and Itzhak Dunovich never imagined they would welcome their longed-for first child in the Jewish ghetto, or that they would let anything tear their family apart. But as daily atrocities intensify, Rosa soon faces a terrifying reality: to save their daughter’s life, she must send her into hiding. 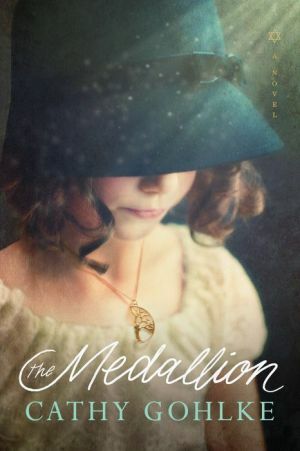 Her only hope of finding her after the war―if any of them survive―is a medallion she cuts in half and places around her neck.